“Auld Reekie”, that’s how Edinburgh has been called by its inhabitants. The nickname is still used today although the smog of the former industrial city has already faded away and Edinburgh has become a modern and vivid city with a ubiquitous historical heritage. 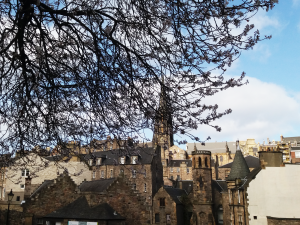 Right from the first moment to spend in this city, you won’t have another opportunity than considering Edinburgh beautiful. With its rustic and fairytale-like old town, the Georgian new town and the maritime coastal area Leith, the city unites highly diverse parts of the city into a harmonious interplay. 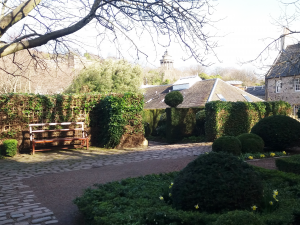 Edinburgh doesn’t disregard lovers of nature either as the Scottish capital is heavenly green. To keep it short: Edinburgh is charming and wonderfully Scottish. There are only a few spots in town from which you can’t marvel at Edinburgh Castle. Located on top of one of the three volcanic hills, the castle is enthroned above the city’s roofs. Being already beautiful to look at from a distance, Edinburgh Castle is not less imposing from close to. 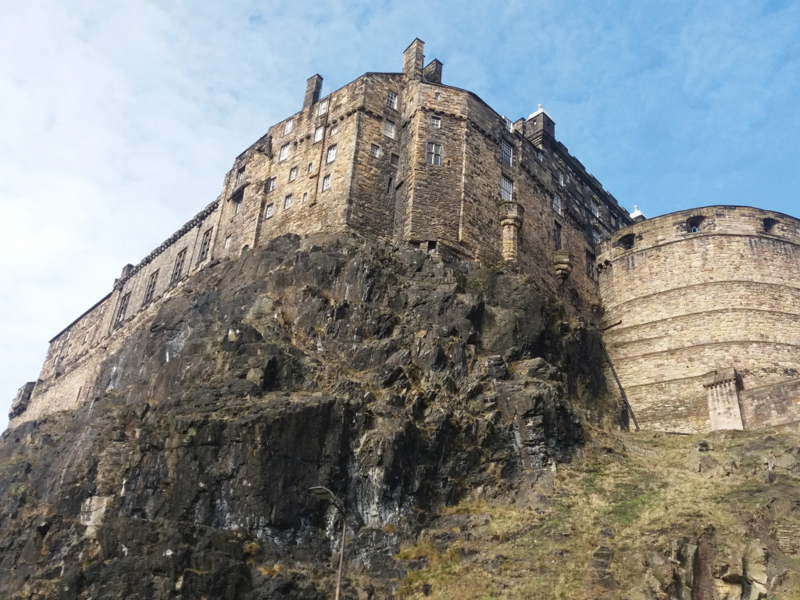 Whoever wants to gaze at the castle from close to or wants to visit it for an admission fee has to face the challenge to climb Castle Rock (depending on the location of the accommodation) as seemingly never-ending stairs need to be taken to get to the top. Having made it to the top, take a deep breath and you will have forgotten the exhausting climb as soon as you see the castle, the esplanade and the beautiful view on the city. Royal Mile stretches for 1,8 km from Edinburgh Castle to the Scottish Parliament and the Palace of Holyrood House. 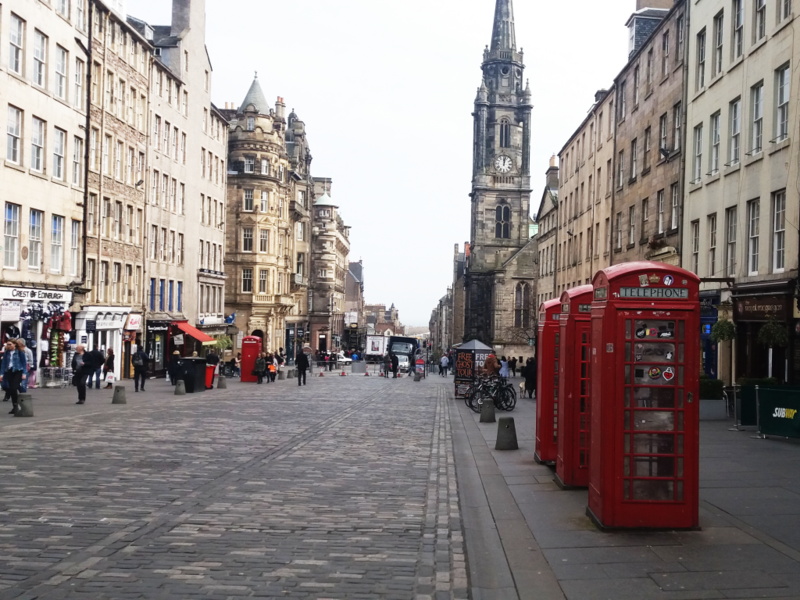 Royal Mile is bustling and there’s a whole lot to be discovered. Starting from the castle and walking down Royal Mile eastwardly, you’ll pass numerous souvenir shops, restaurants and pubs. Cathedrals such as St. Giles will be enroute as well. The further you go, the less touristy Royal Mile will be. However, the eastern part doesn’t offer less to discover. It were the authentic pubs and small and charming shops which fascinated me in this segment. One of the shops that are truly worth seeing is Royal Mile Whiskies wth its 300 different sorts of whisky. 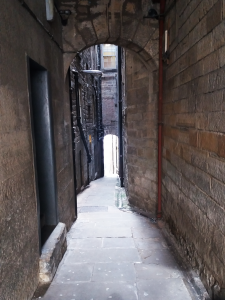 The small alleyways branching off from Royal Mile were my personal highlight on the regal mile. The so-called closes seem unimposing and sometimes you don’t even notice them at first glance. Yet the narrow alleys are worth being explored. Every close – carrying its own characteristic and historical name – is distinct and buries its own little secret. From hotel entrances to rustic back yards; everything can be found. At the end of one close, I discovered a beautiful and huge garden, in which I felt like I had just entered an entirely different world. It was trimmed yet deserted. After a few minutes, I forgot that I had just been on feisty Royal Mile, which was only 10 meters away. 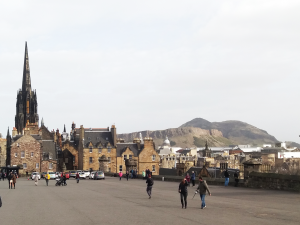 Having arrived at the end of Royal mile, you won’t only find yourself in front of Holyrood Palace, in which the Queen annually resides, but also right next to the parliament building that is still causing heated discussions. With its modern architecture, the parliament doesn’t fit into Edinburgh’s cityscape, as critics say. Supporters claim that it’s exactly this contrast between history and modernity that is fascinating. Indeed, I was a bit surprised as I had never expected this contrast but then I liked it a lot. 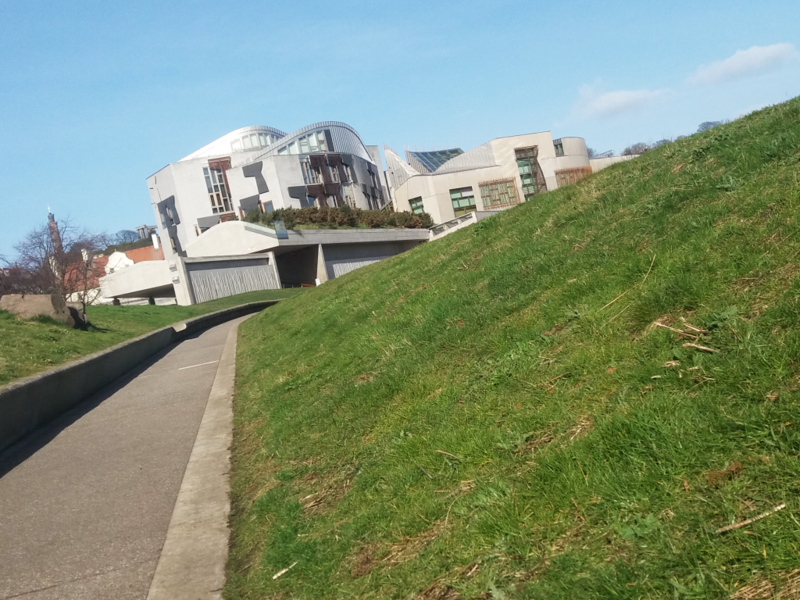 The Scottish Parliament represents the modern and international, political Edinburgh as no other place does. Holyrood Park is located only a few meters away from the Scottish Parliament. On the second of the city’s three volcanic hills, you can escape from busy citylife in the blink of an eye. Be ready to immerse yourself into a small version of the Scottish Highlands! 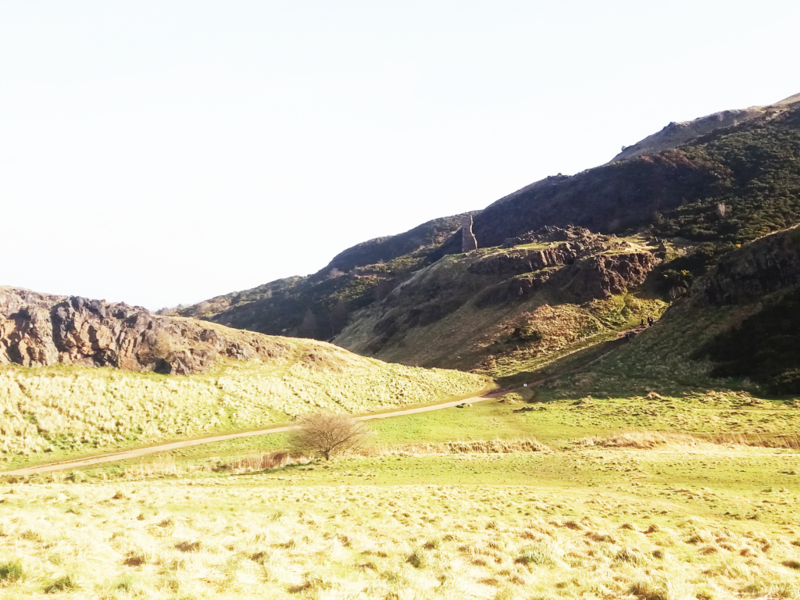 Holyrood Park is perfect for exciting walks and hikes. Therefore, sturdy shoes are a must. Arthur’s Seat with its altitude of 251 meters is the undisputed highlight of the park and offers probably the best view on Edinburgh and its entire surroundings. Unfortunately, it was extremely windy on the day we had picked to climb Arthur’s Seat and so it was too dangerous to make it to the top. Anyway, we looked for another viewpoint, which wasn’t as high as Arthur’s Seat and enjoyed the fantastic view. 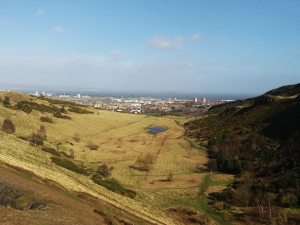 As an alternative to Arthur’s Seat an Holyrood Park, there’s Calton Hill, the third volcanic hill providing a great view and an easier climb. This story won’t only capture animal lovers’ hearts! 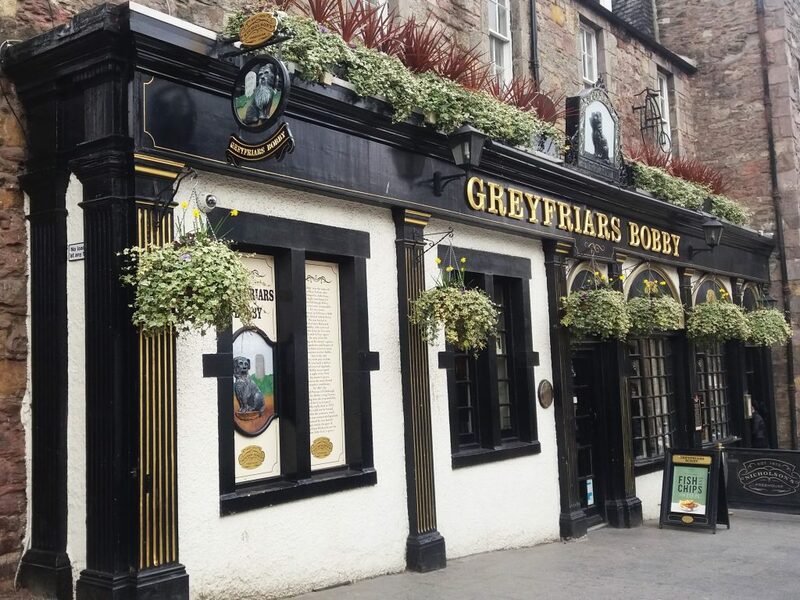 There is not only a monument dedicated to the terrier Bobby at Greyfriar’s Kirkyard but also an adjacent pub and a kiosk. And the little dude definitely deserves this honor for he wouldn’t leave the grave of his master, who dies in 1858, for 14 years until he died as well. He is now burried next to his master and is still celebrated. But apart from Bobby, Greyfriar’s Kirkyard has some other things to offer. It’s one of the most impressive graveyards with a unique atmosphere. Moreover, it attracts a lot of fans of the Harry Potter novels as you can find tombstones of Thomas Riddell and McGonagall here. 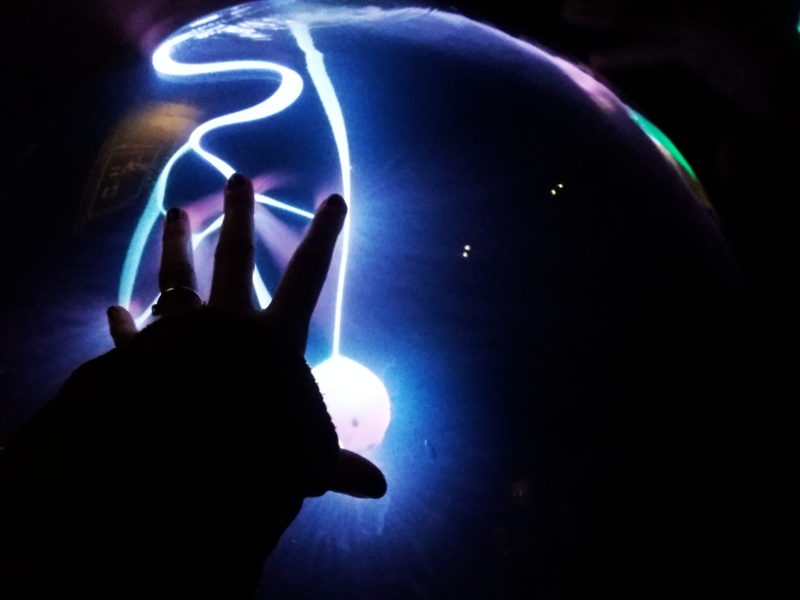 Find out more about Edinburgh’s highlights for Harry Potter fans here. New town with its Georgian architecture has a lot of exciting things to offer. North of Royal Mile, it’s much more bustling and you can find typical shops and restaurants such as Topshop or McDonalds. One of new town’s highlights is the Scott Monument on Princes Street that was erected for Walter Scott, who had died in 1832. Another must-see are the Princes Street Gardens. On the site of a former lake that used to be a waste water basin and in which people found alleged witches after its exsiccation you’ll now find a green oasis at the foot of Castle Rock. Scotland is well-known for its changeabe weather and of course, there is a range of things to be done in Edinburgh on a rainy day. First of all, there is a variety of museums but my personal tip is a visit at Camera Obscura right next to Edinburgh Castle. You do not only have an amazing view on their six floors but you can have fun joining the camera obscura show and getting lost in optical illusions on the remaining five floors. Fun for adults and kids is guaranteed here! 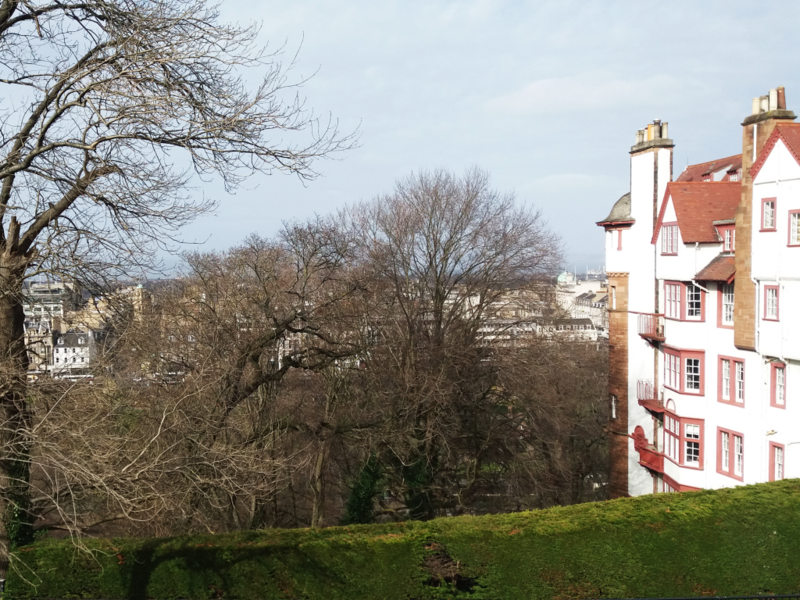 Edinburgh is a true dream city, in which you will feel at home in an instant. 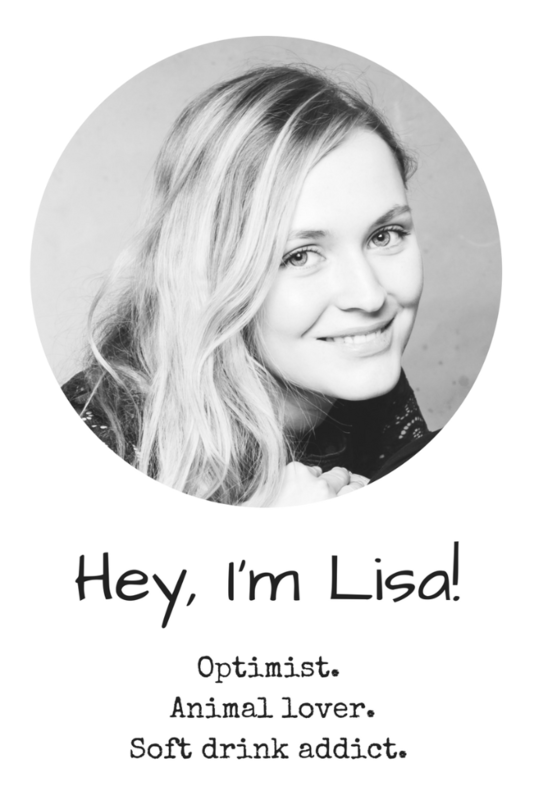 I will return here for sure to visit Loch Ness and the Scottish Highlands, which – due to illness – I couldn’t discover on this trip. But I’m sure that there will be a second time for us and admittedly, that’s a pretty good excuse to see Auld Reekie again.